“To this day kids are still being called names”. will stay with me forever, to know that to this day kids are being bullied. Being bullied is hard. It’s like a pool that you can’t swim out of. I’ve been bullied. really want to be remembered as a mean bully? this video is also about healing and believing in yourself. On Thursday when I got home early from school my parents surprised me when I saw our luggages in the hallway down stairs. First my mom and me went to the Flight Centre to get my grandfather plane tickets to Winnipeg. We managed to get home before my dad so I could pack all my extra stuff like IPhone charger, laptop and my inhaler. We left for Whistler about 4:00 o clock. We stayed at the Pinnacle Hotel some where by the Whistler village. We walked around until we got hungry. We brought our dog so we had to eat outside. We ate pizza and brought back to the hotel some KFC. We left whistler around 10 because my mom had to pick up my cousins. It was nice to see snow because in Surrey there's none yet. 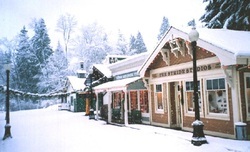 On Saturday me and my family went to the Burnaby Village museum. Everything there was like what it was in the 1920's. It was cool how they got things done back then. The thing that surprised me the most was when I was at the Auto Mobile supplies and there was an old Shell Gasoline pump. There was an old General store and I got to see the old razors used to shave and its hard to believe that someone would put that so close to their face, it looked like a knife. There was an old stove powered by wood and it would heat the entire house. I got to see a small Print shop and what they did to make News papers. I got to see a silent film at the old movie theatre. It wasn't even the size of 1 today. I was surprised when I saw how small the church was. When I visited the bank there was a BIG cage. The person said that people would deposit their money there. I think it's cool how they lived back in the day. Yesterday was my parents anniversary and for there anniversary diner we went to a restaurant in west Vancouver called Cloud 9. When we first arrived at the parking lot I could already see the tower. We had to take a elevator to the top of the restaurant. 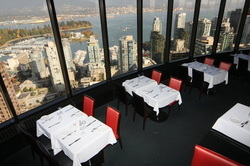 When we were seated my dad told me to look at the TD tower and look were we are when were done eating. The food was so good. I had a steak with mashed potatoes and vegetables. I was waiting for so long, I wanted to eat the bread in the basket they gave us but my parents said no. I didn't eat before we left for Vancouver so I was STARVING. When the food came I could already feel my mouth watering. The food was soo good i wanted more but I obviously would't be able to finish it. We had mango cheesecake for dessert but I was almost too full already. That day I woke up at 7:45 for a party at my moms work so I slept the entire way back. 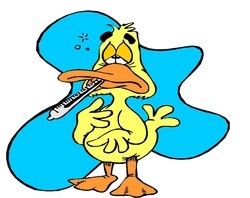 I HATE being sick close to winter. I always get sick around this time of the year. Whenever I'm sick close to winter my family and can't go to Whistler or even go out. I hate being sick for along time and not being able to go to school. Whenever that happens when I get back my home works a BIG pile. Whenever I'm sick I always feel so incapable of doing anything. The worst thing of being sick when schools open is that I CAN'T play basketball :(. I guess its fine I get to spend more time with my family on the weekends. But I just hate being sick. My favorite sport. My favorite sport has to be basketball. I like baseball and other sports but basketball is my all time favorite sports. Ever since basketball started I’ve been watching the Chicago Bulls. 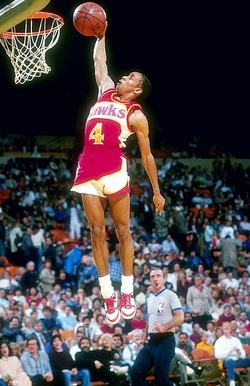 But my favorite basketball player is Spud Webb from the Atlanta Hawks even though he doesn’t play anymore. I like Spud Webb because even though he was shorter than Michael Jordan he was still able to beat him in a Slam Dunk competition. He’s a real inspiration to show that you don’t have to be tall to be good at basketball. Thats why I look at Spud Webb as an inspiration. Today at school we had a clay art workshop. But it was close to the end of the day. I attempted to do all the work I had for homework at recess. After my math teacher dismissed the class,we headed to our classroom to eat our lunches and pack our bags because we were getting back by 3:00. When we arrived at the art gallery I first met up with my friends to see what was there. We looked at all the portraits and sculptures until our teacher told us that we were going to the workshop now. When we went into the room there were tables that sat around four to five people. I sat with my friends and asked them what they were going to make. Our teacher said that the we were going to make clay masks. The first thing that came to my mind was spider man when we had to make a mask. I made the lines or webs on the mask. We had to roll up a news paper and put the clay over the news paper so it was rounded not flat. By the end of the workshop I was satisfied on the out come of my Spiderman mask. We drove back to the school and my volleyball friends were going to play a game. A few nights ago was Halloween. When I went to school on Halloween I first asked my friends if we're going trick or treating. Close to the end of the day at school we played games and ate treats. I got home and took my dog for a walk until my friend called me and said that I need to go to his house before 6:00. I walked my dog back home and told my parents I was going to go trick or treating. So I asked my mom if she could drop me off at my friends house. So I went to my friends house dressed up as Flava Flav and my friend was an angry bird that wasn't angry. We had to wait for our other friend because he was coming with us. My friend that we had to wait for was supposed to be slender man but he couldn't find the rest of his costume so instead he was just someone in a suit. By the time we finished we had a good time and lots of candy. 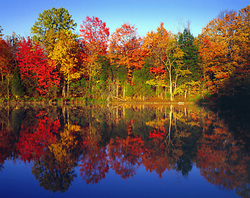 Fall,the season of changing colors. Up until now fall is a big thing in my family. I remember going to Sears looking for a jacket that looks cool but still keeps me warm. At night my family an I would go to Tim Hortons for hot chocolate. When I look out side the window in my room I could see the leaves on the tree changed colors. Backing out of the drive way you could already see the Halloween decorations on peoples houses when it was just a couple weeks after thanksgiving. My favorite was going to the pumpkin patch,looking for the perfect pumpkin for this year. Those are the reasons why fall is a big thing for me and my family. If I could change what time period I live in the late 80's or 90's. The music it self back then was better than now in my opinion. Plus DJing back then was new, now every thing about DJing has already been done before. My favorite sport basketball back then was great because Michael jordon used to play plus Kareem abdul jabbar played for the lakers. Although I like living in the 21'st century because I can play video games, talk to my friends through the internet. So in the end I don't know what I would chose.